When the sky would turn pitch black, sunlight would go out and the world would get enveloped in darker clouds what did we use to do when it would rain? When the sky would turn pitch black, sunlight would go out and the world would get enveloped in darker clouds- what did we use to do when it would rain? Does any of us remember? Well, the rain surely messes up with the internet and electricity. For this very reason, people nowadays have nothing but hatred for such weather. Paper boats were the first thing that used to pop in our heads whenever clouds would start pouring rain on us. Those were the days. when serious street creds were earned by winning a paper boat race. Rain meant free supply of water and people who loved creating a ruckus used this opportunity to weaponise rainwater as well. Kicks, hands, utensils and what not were used to pour more water on each other. Ahh, the good old water fights...they were really fun! Where every other game gets called off, football begins and there is nothing that can put a stop to it. When it rained it usually meant it was time to play soccer. Football players loved playing underneath the pouring sky and thus it became one of the most enthralling things about the season. 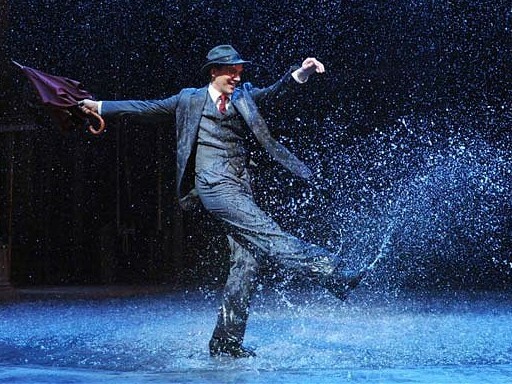 People nowadays run from the rains but quickly book tickets for a fake rain dance party. Hypocrisy, isn’t it? Dancing in the rain was very normal. No one cared about getting ill or getting their clothes wet. Rain meant fun back in the old days, something which is slowly dying out today. Sliding in the wet grass gave us a feeling of bliss which nothing can replicate. This was the very reason why football in the rains would be so much fun. Who wouldn't want to slide tackle someone in that fashion? Duh! Everyone! Two wheelers were not the trend and people rarely took them out in this stormy season. But there were bicycles that everyone loved to ride during the monsoon. Bicycles were slow and required no fuel whatsoever but our own strength. It automatically became the thing to do in the lashing rain. Whether the rain halted or would still pour on, whether the pond was clean or empty, none of that ever mattered. Wherever a pond formed, everyone used to just jump in them and splash as much as they could till they had their share of fun. Because trees provide shade and protection from the downpour, they instantly became the place to run to when we needed shelter. It never sat well with lovers of rain, they would shake the entire branch or if possible the tree to force people out to enjoy the rain. It was the single most epic prank and everyone loved doing it. How many of these things have you done? Do you still celebrate rains in this manner? Let us know in the comments below.